As we have mentioned frequently before, the use of testosterone replacement therapy (TRT) in men diagnosed with and/or treated for prostate cancer has been highly controversial, and the data supporting a role for TRT in such patients has been limited. In a newly published paper in the Journal of Urology, Ory et al. have now added additional data to this discussion (although they are clear in their paper that what are really needed are data from high-quality, randomized, placebo-controlled trials). Your sitemaster has been able to review the full text of this article. Ory et al. 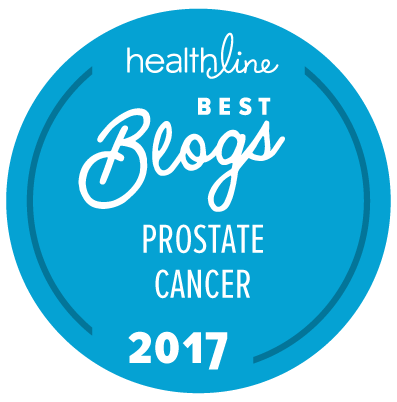 offer data based on a retrospective analysis from a cohort of 82 hypogonadal men (i.e., they had an abnormally low serum testosterone level) and all of whom had been diagnosed with prostate cancer. All 82 of these men were treated with TRT in institutions in Vancouver, Canada. The authors monitored their PSA levels, their serum testosterone levels, their PSA velocities, and any biochemical recurrences among the men who had received treatment for their cancer over time. Men who had received TRT before being diagnosed with prostate cancer were excluded. 50 had been treated with first-line radiation therapy (37 with external beam radiation therapy and 13 with brachytherapy). 22 had been treated by radical prostatectomy. 8 were on active surveillance. 1 had been treated by cryotherapy. 1 had been treated with high-intensity focused ultrasound. 21 men had received neoadjuvant androgen deprivation therapy as a component of their treatment. Initially diagnoses included men with Gleason scores of 6 (n = 32), 7 (n = 37), 8 (n = 7), and 9 (n = 4). The average (median) age of the patients was 75.5 years. No patients were upgraded to higher Gleason scores on repeat biopsies. No patients had gone on to have any type of definitive treatment. 2 patients were taken off TRT due to early PSA increases (and after TRT withdrawal their PSA levels returned to values similar to the pre-TRT values). Among the 22 patients originally treated by radical prostatectomy, there was no evidence of a biochemical recurrence. Among the 50 patients treated with first-line radiation therapy, 3/50 men (6 percent) exhibited a biochemical recurrence — all after treatment with external beam radiation therapy. In the absence of randomized, placebo controlled trials our study supports the hypothesis that testosterone therapy may be oncologically safe in hypogonadal men after definitive treatment or in those on active surveillance for prostate cancer. Their findings are similar to other recently published data. Their findings come with several limitations because of the retrospective nature of their study. Until the completion of randomized, controlled clinical trials, the use of TRT among hypogonadal prostate cancer patients (whether treated or on active surveillance) should be monitored closely with serial PSA measurements. At this time, any use of TRT among hypogonadal prostate cancer patients should be preceded by a detailed discussion with the patient about the potential risks and benefits of such treatment. The “New” Prostate Cancer InfoLink is encouraged to be seeing a more data-based discussion of the potential for use of TRT in carefully selected men after diagnosis of prostate cancer. However, we concur with the authors that what are really needed here are sound data from a couple of large, well-structured, randomized clinical trials. it has worked fantastically for me, I must say. On active surveillance, and my most recent PSA was 1.5, and last biopsy was 0/16 cores. 3-T MRI last summer showed small area graded PI-RADs 2. My concern after radiation therapy is not that TRT will reinvigorate any residual cancer. My concern is that TRT may cause PSA to increase in an unknown and unpredictable fashion, just as it did for some of the men on active surveillance in their study. Unlike post-prostatectomy, where, hopefully, the PSA becomes undetectable because the prostate is gone, there are still benign causes of PSA post-radiation therapy. So how can we distinguish benign from malignant causes without going to the trouble of a biopsy? An established, stable, and low nadir is a good indicator that TRT may be safe post-RT, and that it is less likely to interfere with the PSA as a biomarker of efficacy. I hope we will have some studies that suggest which nadir value is safe and for how long that nadir must be established.